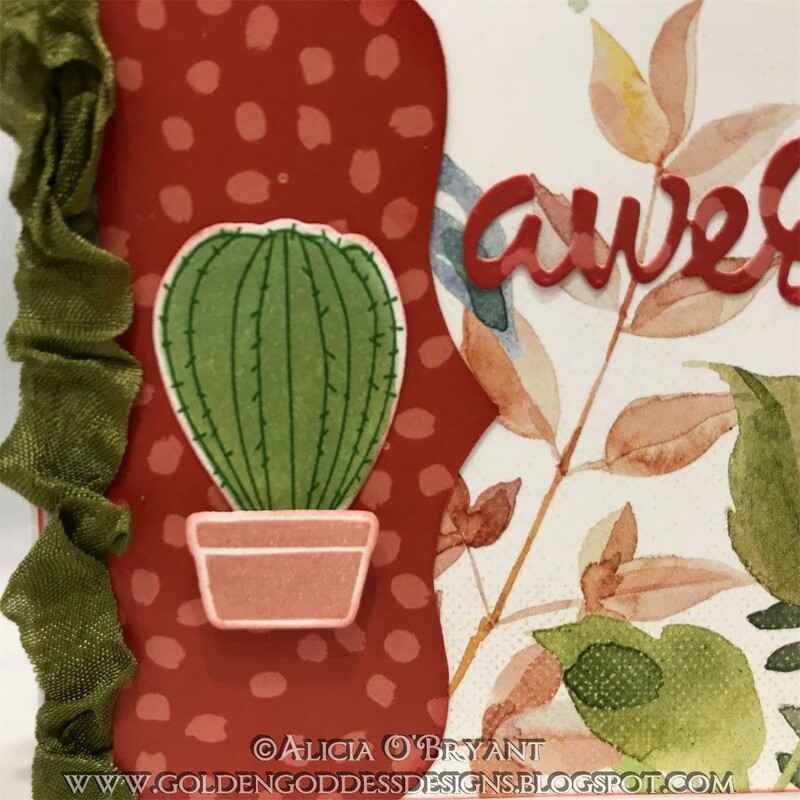 Blog Quick Quotes: Awesome Inspiration with Alicia! Hello, Alicia here with an "awesome" card. I like to utilize as much of the beautiful print as possible, I think I did that here with the Secret Garden paper. I actually only used one piece of the terra cotta is the reverse of the plant print... designed to work perfectly together. I die cut my sentiment from the same terra cotta paper for a pop against the plant print. 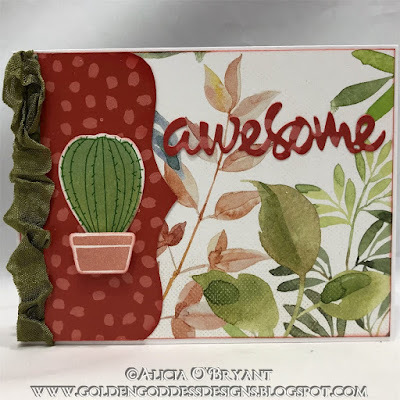 I stamped my pot on white card stock with Terra Cotta PowderPuff Chalk Ink. I stamped my cactus with a pigment ink and colored with alcohol markers. I then die cut the two pieces with corresponding dies. I layered that on top of a piece of paper cut with a template and knife. I added seam binding along the outside edge.